★High-resolution, high-tech professional printer printing. 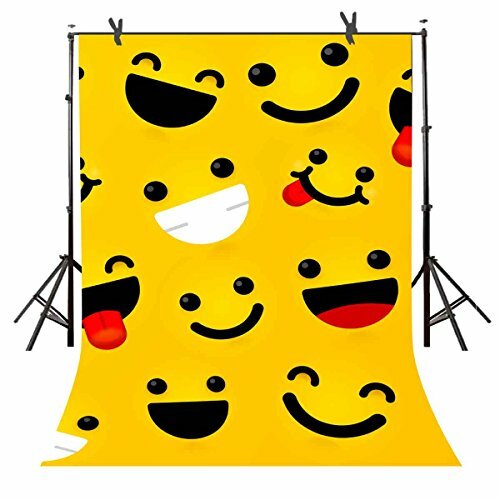 ★Scenes to provide photography props for events,holidays,families, weddings,studios,clubs,schools and various parties;adult baby photography background;video production background. ★The product has been folded way of transport,there will be a slight crease,a little ironing can be eliminated. ★It is beter to use the professional background cloth shelves, shooting results will be better,vivid results record your most beautiful moment. ★If the product has subtle wrinkles, please iron the back surface with steam iron with low heat(Less than 90 degrees)but not dry iron. ★Due to the size 6 * 9 FT larger,so need to fold the package delivery. ★The product do not include clamp and background brackets. As each computer display may have a slight chromatic aberration,please understand,if you have any comments and suggestions please email us at anytime,we will continue to work hard for your better experience.